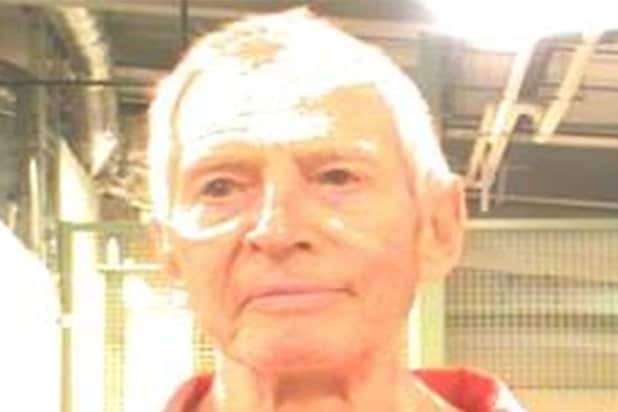 Robert Durst isn’t just an alleged triple murder suspect–he’s going to court for soiling the sweets. The real estate magnet will appear in court Thursday in an evidentiary hearing for a strange 2014 incident where he was caught on camera urinating on a CVS candy counter in Houston. Video has surfaced of Durst, wearing a white hat, bending down and heeding nature’s call at the check-out counter as onlookers back away. The controversial figure is currently in jail on weapons charges. The urination mishap reportedly ruined $100 in candy. Durst pleaded no contest to criminal mischief. Durst, of course, was infamously caught on camera admitting to three murders in March during HBO’s documentary, “The Jinx.” He was later arrested in New Orleans.